The Kennedy Martin Stelle Farmstead is a community landmark that reflects the rich heritage of our architectural and agricultural past. The surviving 18th and 19th-century buildings are located on four acres that is part of a 40-acre park nestled beside the Passaic River in Basking Ridge, New Jersey. The entire site is an on-going restoration project. 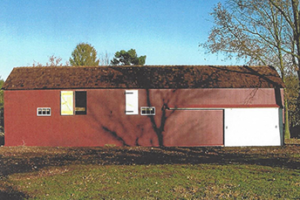 The Farm House and English Barn have been adapted re-purposed for use by the Farmstead Arts Center. 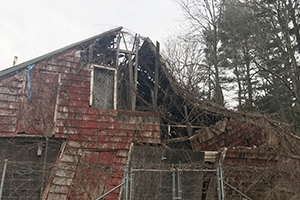 The Cow Barn is in the process of being restored with the long-range plan of being re-purposed as a welcome/history center for the Farmstead and the Wagon House is in need of restoration. 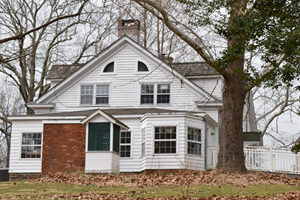 The farm house typifies the region’s early domestic architecture and contains evidence of its Colonial past, as well as Georgian, Federal, Victorian and Colonial Revival features. Restored and adaptively re-purposed as part of Farmstead Arts Center. Preservation is ongoing. 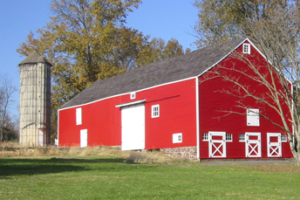 An example of the English barn style, the four-bay 18th century barn (with a c.1840 addition) exhibits hand-hewn rafters with pegged wind braces and a lower level stable at one end. The five-bay structure, of mortise-and-tenon construction, was built in two parts around the second quarter of the 19th century. In the process of being restored and adaptively repurposed as a historic museum and welcome center. 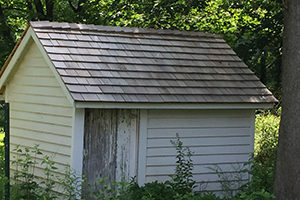 This small outbuilding features gable-end entries, mostly hewed timber and an upper-level loft with built-in grain bins. It displays a combination of Dutch and English framing techniques. 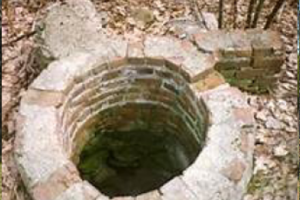 More of the ancillary structures once common on area farms in the 1700’s and 1800’s.